Not only do we offer a wide selection of commercial doors, but we also offer an even wider selection of commercial door hardware to make sure that our customer’s existing doors will work as intended for many years to come. 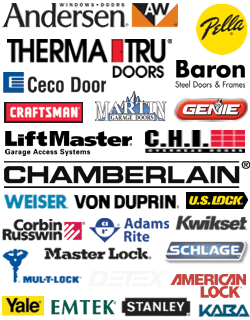 There are many people in the DC area that are looking for commercial doors for their business. They may feel as if their old door is not offering the level of security or gives them the proper look that they are wanting for their business. We, at DC Local Locksmith Experts, offer our customers upfront pricing, fast and friendly 24/7 DC door services. We are local which means that our customers can be taken care of quickly and efficiently. We know the area so there is no need for a business owner to wait for hours in order for one of our highly skilled technicians to arrive to service their door needs. Not only do we offer a wide selection of commercial doors in DC, but we also offer an even wider selection of commercial door hardware to make sure that our customer’s existing doors will work as intended for many years to come. We at DC Local Locksmith Experts understand that there are many times that our customers may need their current door repaired or replaced. Our technicians are professionally trained to use the many specialized tools that are required to install and repair commercial doors correctly. We install and repair many different types of doors, both steel and wooden, so that our customers will get the service that the deserve without having to worry about being limited to only a couple of options. 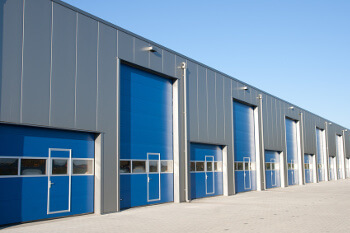 We also offer installation of garage doors for commercial applications which is one of the many ways in which we make sure that we are taking care of you. Our technicians have the expertise and knowledge to make sure that your new commercial door is installed correctly and will operate flawlessly for years to come due to the high level of training that they receive. This knowledge is then applied in each and every job to ensure it is done right for you. We understand that, far too often, there are times where door hardware wears out. Hinges break on security doors, panels degrade on fire doors, and garage rails may warp or bend. We also understand that our customers want to make sure that their business looks as appealing as possible so that they can have the maximum amount of curb appeal for their new customers. It is for this reason that we make sure to listen to our customers and to put your needs above what other companies might want to sell you. Not only do we offer high quality goods in the form of doors and hardware, but we also offer several repair services so that our customers can rest assured that all of your door service needs will be met. We offer door jamb repair, door hinge repair, and door frame repair. Our fast and friendly service technicians will have our customers commercial doors up and running in no time. This is paramount because time is money for you. Furthermore, being able to give our customers 24/7 DC door services on their security door means that you can rest assured that your offices will be kept secure and off limits to unauthorized personnel. You can always rest assured that you are going to be taken care of in a professional and friendly manner. You can also have peace of mind in knowing that we are bonded and insured. 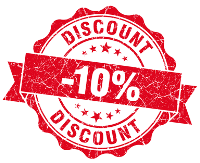 We make sure that we do the job correctly the first time and we give you the best possible service, and upfront pricing, available in the area. If you are in the DC area and are looking for a team of highly trained professionals that can get the job done right the first time when it comes to commercial doors then call us at DC Local Locksmith Experts in Washington, DC now! Commercial Doors https://dclocallocksmith.com/commercial-doors-dc/ 4.1/5 based upon 34 reviews.